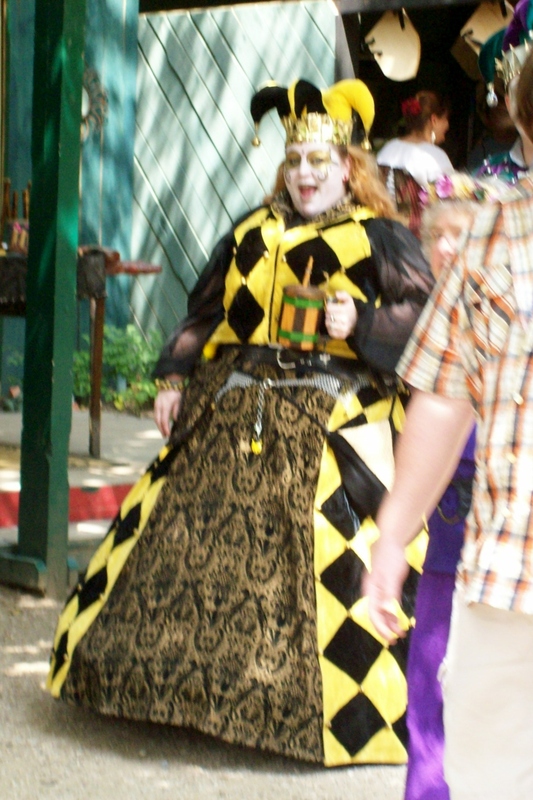 I was delightfully surprised by this lady jester last year! This year, we were so excited to discover that the faire is having a time travelers costume contest, which can be anything from Dr. Who to driving up in a Delorean a la “Back to the Future.” Of course, if you’re familiar with the territory, this also means steampunk! Now you may be saying to yourself, “I really don’t get that steampunk thing,” and rightfully so. It’s a broad genre of style. So, let me try to clear things up for you. Here are the best definitions I’ve come across so far. Steampunk (noun): A sub-genre mixing Victorian and Edwardian styles with science fiction, often based on characters inspired by literary figures such as H.G. Wells. Steampunk (noun): A style that gives the illusion of living in a past in which the future came too soon. Steampunk (noun): When goths discover the color brown. Okay, so that last one is just funny, but it’s true to an extent! 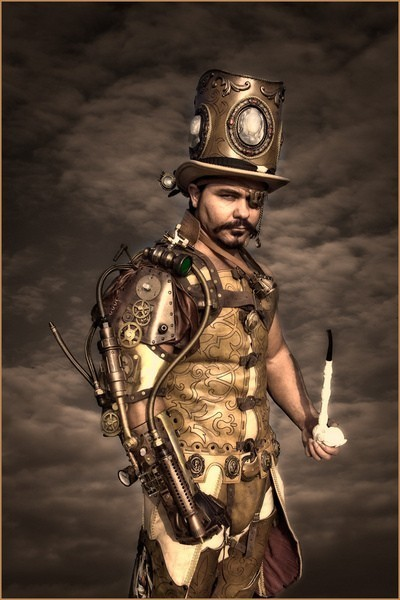 Basically, I’ve found that there are 5 identifiable categories within the steampunk sub-genre. 1) One has a more gothic, dark tone, often inspired by Tim Burton characters with lots of black, red, and black and white stripes, and even some dead or zombie makeup elements. Also incorporates some “carnivale” style. Vistual example of goth steampunk. A visual example of a steampunk fairy. A visual example of sci-fi steampunk. 4) Then you have the costume hackers, who “hack” existing characters from other genres (superheros, comic book characters, movie characters, etc.) and steampunk-ify them. 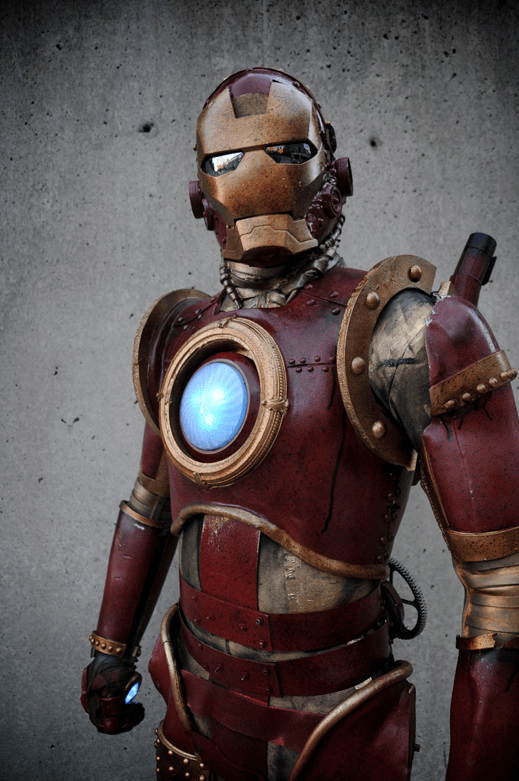 Visual example of a steampunk hacker costume. Iron Man, a natural choice. 5) The last style is simply made of a group of steampunk purists who enjoy creating historically accurate costumes mixed with scientifically functional machinery, and who usually have knowledge and appreciation of the literature that inspires the style. Steampunk Lincoln says it's hard to find a picture of historically accurate steampunk costumes, but they're out there! Not so much with the steampunk tag. You probably violated the Etsy TOUs trying to get more views for your item, but I'll give you the benefit of the doubt. So, I hope that breaks things down for you if you’ve been unfamiliar with all things steampunk until now. Steampunk expert? Tell me what you think of my list in the comments below! Did I miss a category? I’ll be posting pics for next week’s Make It Monday with tutorials on how you can make your own steampunk garb, including pics of the steampunk mini tophat I just finished! I’ve never done steampunk before (or made a mini tophat, for that matter,) so I’m pretty excited. I’ll also share other elements of our costumes just for your viewing pleasure.